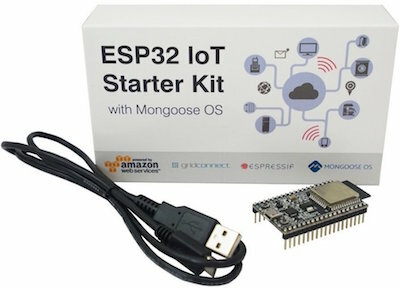 Mongoose OS, an open source Operating System for the Internet of Things, today announced a release of ESP32-DevKitC IoT Starter Kit for AWS IoT. This, recommended by AWS, IoT Starter Kit enables you to move quickly from the idea to prototype. It was created to help accelerate cloud-powered prototype development of connected devices and connect securely to AWS IoT. You can purchase the kit from Amazon.com. It is launched in partnership with AWS IoT providing the IoT Cloud infrastructure and Grid Connect handling the kit's distribution. More information on the kit and Mongoose OS support for it can be found here. Post to our forum or send us a message. Mongoose OS, an open source Operating System for the Internet of Things, today announced support for Texas Instruments CC3220 microcontroller. Mongoose OS already supports Texas Instruments CC3200 Wireless MCU and with the v.